Compare the latest Blackberry contract phone deals for the UK. Find deals on the latest Blackberry models to get the best deal to suit your needs. We compare a great number of deals from all top retailers and networks across the UK to bring you the very best deals on Blackberry phones. We offer comparisons based on your criteria such as contract or pay as you go phones, minutes, texts, data, model or network. So you can find the cheapest deal on a new Blackberry phone contract that is suited to you and not just a contract that suits your network. So why not compare the latest Blackberry phones right now. 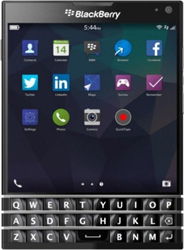 Blackberry is one of the best selling business phones on the market in the UK. So keeping your number that people know you on and keeping the network the same so you know your changes can be very important to a Blackberry customer. So we have highlighted some of our best performing network for Blackberry mobile phones. Compare deals across our four top networks for Blackberry Vodafone, Orange, T-mobile and Three mobile or use our deal finder to compare deals across more networks. Get great deals from Orange mobile network. Not only do you get low cost contracts deals but they also offer added benefits to customers like 241 on films and pizzas. O2 has always been known for its quality of service and if you are a business BlackBerry user this can be just as important as the phone. See o2 blackberry deals below. 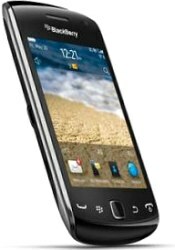 T-mobiles deals for Blackberry mobile phones are some of the cheapest deals. T-Mobiles offers a wide range of tariff so whether your looking for text, minutes data or a combo check out T-Mobile. Blackberrys on Vodafone deals are some of the cheapest we have at the moment. Which is not surprising given Vodafone is one of the biggest networks worldwide. BlackBerry smartphones are the brainchild of Research In Motion (a Canadian telecommunication and wireless device company). Today, Blackberry devices are used by companies and individuals all over the world. Ever since the Blackberry launch back in 1999, Blackberry devices have been particularly popular with business users due to their peerless email and typing capabilities. Blackberry Phones cater for users who are looking for more than just the basic calling and occasional texting features found on budget mobile phones. The popularity of the Blackberry has led to an increase in the number of high end smartphones in the market as competitors strive to win some of the lucrative Blackberry market share. Today, Blackberry offer a range of high tech handsets with a wealth of technological features. Blackberry mobile phones, due to clever branding and innovative email features, are a unique brand, different from many other phone manufacturers. 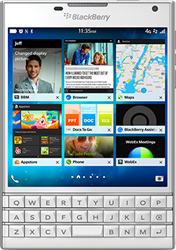 Blackberry users can choose from a wide variety of high tech features and applications that allow them to use their Blackberry devices for almost any purpose, in the same way as many people utilise PC's and laptops. However, like other rival manufacturers, Blackberry users have access to huge range of applications from an Apps store which provides even more functionality to their handsets. Typically, Blackberry mobile phones offer a full qwerty keyboard, touchscreen displays, a music player, high end camera and many more features which for many make the Blackberry the ultimate smart mobile device. The touchscreens on a Blackberry allow users to access a range of options simply by tapping, sliding or dragging icons on the screen. In fact, there is a such a wide range of Blackberry mobile phones available from various network providers with a bewildering choice of tariffs, it can be quite time consuming to source the best deal for your needs. The best way to find the best mobile phone for your needs and the most competitive deals available is to use the features on this site to compare mobile phones by reading the reviews, then once you have found the handset you want, check out the deals available on the Blackberry model of your choice. Of course, if you already have a Blackberry mobile device then you can take advantage of the various SIM only deals which allow you to keep your existing phone and number while moving to a cheaper tariff.